Kun lun Mountain Snow Chrysanthemum tea is as striking to taste as it is to look at. 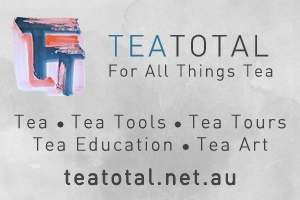 It’s a candidate for any list of the world’s best herbal teas. But it also has a rich, aromatic whole leaf black tea flavor. It’s caffeine free but with a caffeine-ish zip. Additionally, it makes a terrific do-it-yourself blending ingredient for pu-ehrs and oolongs. The Kunlun chain is the longest mountain range in Asia. It stretches along the Tibet Plateau from North West to Central China. Kunlun and its mountains and desert surroundings are very harsh. A tourist review picks out the Kunlun Gates of Hell as a world Top Ten Terrifying site. High levels of magnetism are among its main features. These lead to frequent lightning strikes. A three-day trip here may mean half a dozen landslides to negotiate. The Kunlun region has among the highest levels of seismic activity in the world. Xinjiang province marks the population boundary between mainstream China’s Han population and the Western Uyghurs. They are of Turkish, Mongolian, Caucasian and Central Asian origin. The relationship has been turbulent. It still often borders on conflict. The government has transplanted Hans to erode the Uyghur independence. The culture is “different”: multiple languages, cuisine, arts, music and terrain. The Mountain Snow chrysanthemum is decidedly different, too. The yellow daisy-like bloom with its bright red center grows wild. The smallholder farmers pick the flower once a year during August, early in the morning when the sun is rising. They then dry them and preserve the whole bud, a bold burgundy red in the center with bright yellow petals. Caffeinated versus caffeine-free defines the distinction between leaf tea and herbal. It’s generally very much an either/or. Kunlun is one instance of both/and. By itself, it’s a truly excellent plain herbal. In combination with whole leaf tea, Kunlun makes for an unusual, and also excellent, blend. This both/and is a general feature of full bud teas. These don’t strip off just the petals to flavor a black or green leaf. Instead, they use the expansive perfume and sweet intensity of the full flower. 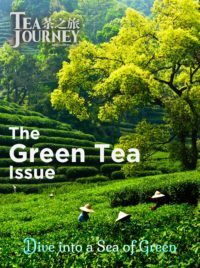 They can balance and augment top rate whole leaf across the spectrum of tea types, from whites to blacks and puehrs. 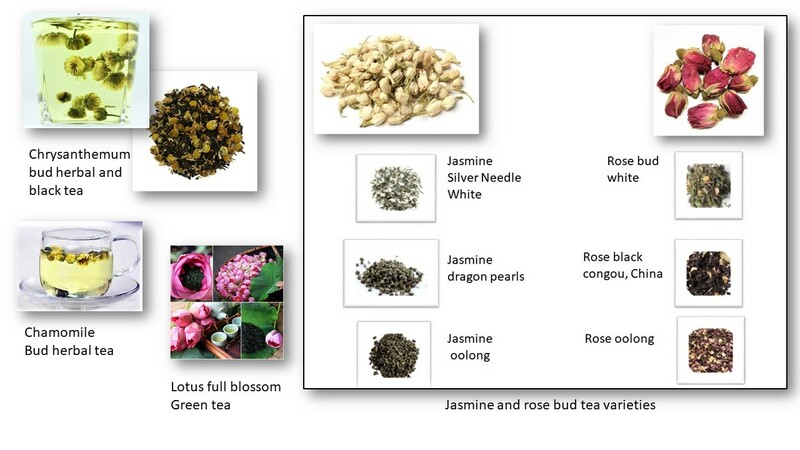 The main varieties of these bud teas are jasmine and rose. Growers use milder chrysanthemum and chamomile across a narrower range of teas. There are some lovely localized lotus teas, such as green teas in Indonesia and Vietnam. Here are examples They are excellent and well worth trying. In other words, there is something special in the soil that makes Kunlun snow mountain special. It’s certainly not an ordinary chrysanthemum tea. Chrysanthemum tea has been one of the most popular in China for a millennium, mostly valued for many claimed, though not proven, medicinal benefits. The flavor compares to chamomile, to which the plant is related, and as delicate but slightly earthy. There’s a visible difference between the liquor from brewing Kunlun and that of lowland chrysanthemum teas. Chrysanthemum blossoms make a showy addition to whole leaf teas, mostly dark, earthy, smoky puehrs These are one of the most complex of all teas. 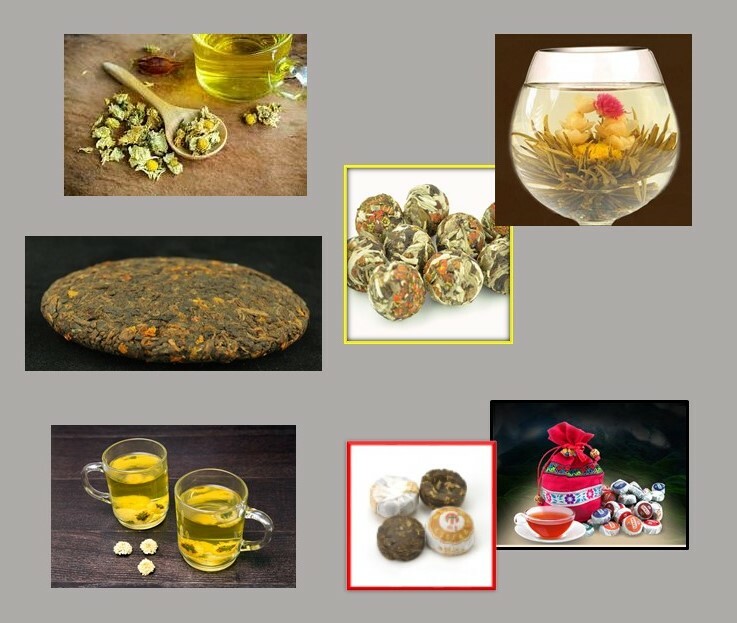 The picture below shows the range of uses of the flower, starting with a plain golden chrysanthemum tisane, then balls of green tea with the flower petals intertwined and tied with string. These unfold in the hot water to form a beautiful display of blossoms. This example mixes jasmine, marigold and chrysanthemum. Below the tisane is a puer bing, a cake of the Yunnan black tea that is uniquely processed to age, ripen and add layers of aromas. At the bottom is a white chrysanthemum herval and some tuochas – mini-puers that provide a single cup. These come in lovely bags and colorful wrappers and include many varieties: plain, flower, cinnamon, sticky rice and ginseng, among others. These “bird nests” are named for the way they are formed in hand processing. These generic chrysanthemum tisanes and puers get mixed reviews. They don’t have an especially distinctive character that stays in the mind and on the tongue. The main flower varieties are Golden and White. Many tea drinkers enjoy them for the same lightness of most standard herbals, including of course their being caffeine-free. The puers are generally decent quality but not outstanding and the flowering blossom teas are bland. For a whole leaf, black tea lover, calming can be close to boring. Kunlun Mountain Snow is distinctly different. Keep in mind that chrysanthemum is a genus, not a single plant. Only a few varieties can be harvested to produce a drink; some are even used to manufacture pesticides. Kunlun thrives two miles up in a harsh climate by drawing on rich nutrients that it stores over the winter and that feed its tender spring buds. These flourish in the sun, are fed by winds and rain and involve an extraordinary and highly dynamic interaction among over six hundred chemical compounds. This is the generic nature of fine teas. Far from being inert dried flotsam, the leaf – in this case, the bud – is a chemical lab. Descriptions of Mountain Snow emphasize how unusual its composition is: selenium, amino acids and trace minerals that give it extra potential medicinal properties that have long been its main attraction. Terroir is the fancy word borrowed from French wine making and refers to the combination of soil, weather, landscape and land that provides an environment that produces a special crop. It’s almost a Darwinian issue. Kunlun is too cold for the tea plant to thrive but this flower has found its niche and represents the fittest in survival. The mountains where great teas emerged became brands. Wuyi rock oolong is one of the earliest of teas gathered in clefts, on peaks, scattered on the slopes and rock crevices. Cow-swallowing and factory-crumbling geological instability mark the Wuyi terrain. That applies also to Darjeeling’s black teas from around the third highest mountain in the world and holder of many records for rainfall, and Uji’s Japanese senchas. 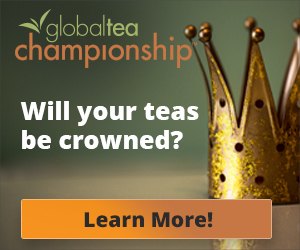 Wuyi, Darjeeling, and Uji are the megabrands, and the individual varieties, growers, and harvests the sub-brands. The case is the same with Kunlun. That’s the differentiator, with chrysanthemum subordinate to it and tea/herbal tea/tisane the qualifier. Several whole leaf teas add Kunlun mountain snow. A few specialist providers in Yunnan offer their own Kunlun-puehr. Typically, they take a mix of puer processed cake and break it up and then fold in high quality, fresh Kunlun Mountain Snow. Then they pressed it back into blocks or tuochas and leave it to meld the flavors as they age. These are interesting and attractive, but you have to seek them out online. Even more attractive is d0-it-yourself. One of the most enjoyable uses of Kunlun is to make your own blend in the gong fu style. Gong fu contrasts with usual tea making by using less leaf in a smaller – preferably clay – tea pot, brewed for much shorter periods of time and re-infused to let the flavors and aromas of the tea develop with each new pouring. Generally, the first steep is just for half a minute and shared among several drinkers in very small cups. The infusion time increases in short increments. 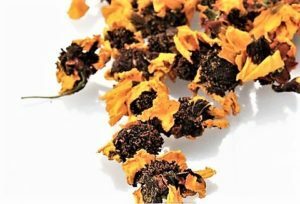 It’s ideal for aromatic, smoky, earthy and fuller teas, less so for greens and bolder astringent blacks. Kunlun and puer make a natural match. And a beautiful one. Kunlun is widely available online. There are several levels of quality, defined informally with no legal or industry warranty by the wholeness and integrity of the bud and the timing of the harvesting. It sells for $4-5 an ounce – around 40 cents a cup. Just under ten years ago, its apparent scarcity and lack of distribution made it a fad product in China, as a medical wonder tea. Prices soared to over $3,000 a kilo, $70 an ounce and $6 a cup. The absurdity was short-lived. It is still advertised as “rare” and among Amazon’s twenty ads, you’ll find several offering very small units – 1-2 ounces – for $20 or more. Ignore them. The tea is usually shipped in bottles, to preserve the buds. To brew Kunlun, you need a little less than a spoonful per cup. The temperature should be at or close to boiling and steeping time 3 minutes. Kunlun is a surprise and a pleasure.